Deal Busters UK (DBUK) is a money saving website and we aim to save you money by finding the best Lancashire and national deals available. We are passionate about finding deals and saving money and we would like to pass these savings on to you. We will also be looking to find the best Lancashire and national competitions for you to enter and win yourself some fantastic prizes. DBUK will also be looking to share Lancashire & national events that might be of interest to you. 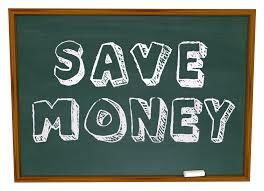 We post money saving deals frequently and would like you to share the deals that we have found with family and friends. We rely on third party companies telling us about their deals, so we cannot accept liability for the accuracy or content of any deals posted on our website. All deals and other information given on the website are used at your own risk and we can’t accept liability if things go wrong with any deals posted on our website. We will never give financial advice, so always do your own research on top to ensure the deal is right for you. We often link to other websites, but we can’t be responsible for their content. You should also check out any terms and conditions which companies may place on their products or services. The DBUK website has been live since 03/10/2016 and our income is generated by commission from affiliated businesses which include O2, M&S, Waitrose & Partners & Boots to name just a few. We also offer a subscription service for local businesses to pay a yearly fee to advertise and promote offers/deals on our website. Thanks for visiting our website and happy shopping with Deal Busters UK!